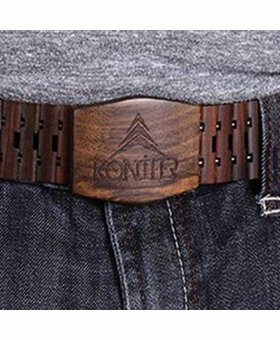 The distinctive flair of multi-toned wood meets the form and functionality of a high-style belt in this fun and versatile Zebrawood belt. If you’ve shopped Konifer watches for a while, you know our reputation for stylish timepieces crafted in eco-friendly materials with distinctive design. 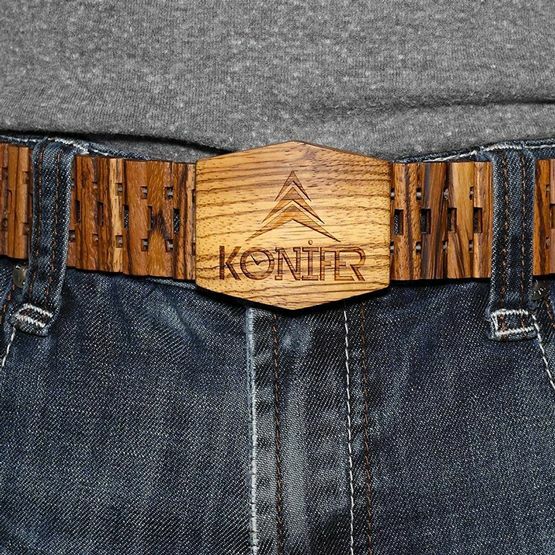 Now you can have the same style on your waist with this wooden belt. 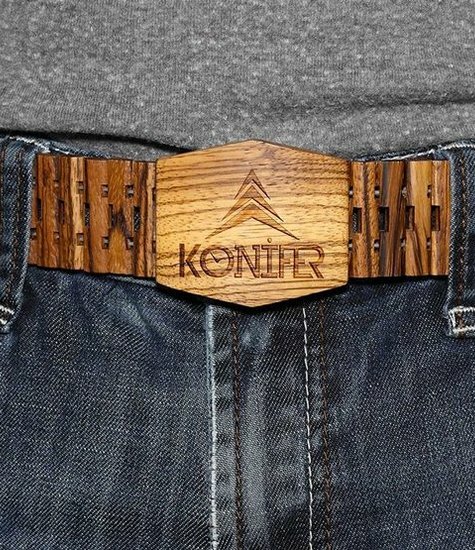 Unisex, this belt is perfect for a casual woman or a rugged man. It’s crafted with the same link band styling made popular by our fashionable watches, and is adjustable up to a size 38. 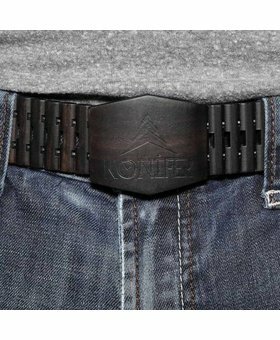 Like all of our products, our Zebrawood belt is fully handmade from a unique log section to ensure that no two are alike.